Swedish Real Estate Bubble – Peaking 2015? The IMF warns against financial problems in the Swedish economy. The government needs to urgently curb private debt home buying warns the IMF. 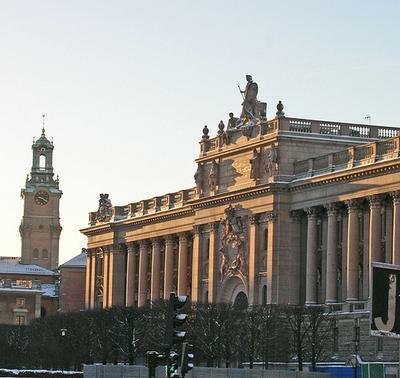 If the property prices fall, Sweden threaten economic turmoil. The recent data indicate that household debt ratios are high across all income groups. However, indebtedness among the lower-income households are generally more vulnerable to income, interest rate, and house price shocks. Indeed, the real estate bubble in many of these places in Europe should peak next year and turn down rather hard into 2020. The IMF trimmed its economic growth outlook for Sweden this year, and said it is likely to settle at 2.6%, down from its previous estimate of 2.8%. The institution raised its growth estimate for 2015 to 2.7% from 2.6%. In light of growing household indebtedness, the IMF called for Swedish policy makers to introduce “a comprehensive set of macroprudential actions” to help steer mortgage credit demand “towards a sustainable path.” It suggested binding maximum amortization periods for new mortgages and a further reduction of Sweden’s loan-to-value cap, as possible measures. Sweden’s economy has performed well relative to many other European economies since the financial crisis, the IMF said in its review. But it noted that unemployment has been higher than expected, especially among young people, the low-skilled and immigrants. This is the European systemic problem of socialism. The private sector just cannot create enough jobs when taxes are so high, people do not risk starting new companies from the ground up. « Is Corruption Inherent in Any Organization?